Tilt-shifting a person in his surroundings this time. The guy sat there for quite some time, patiently and silently, as he waited for his line to sink. 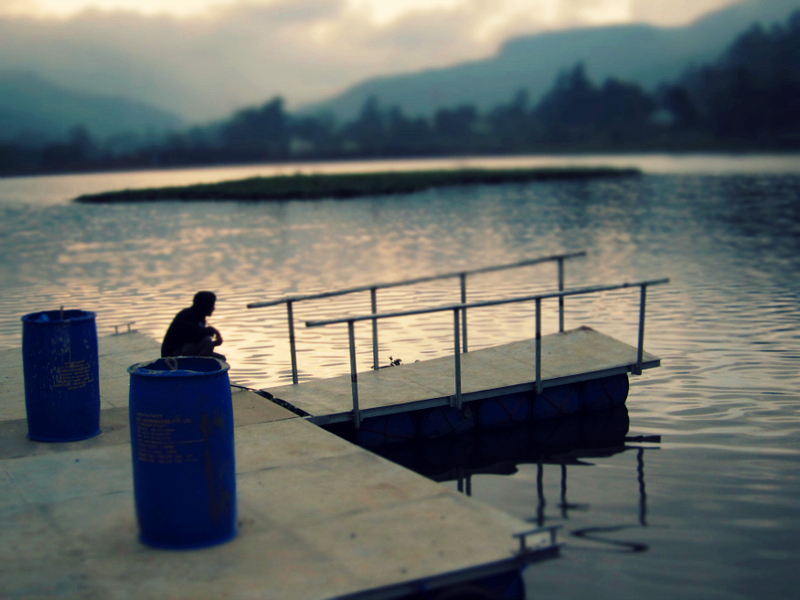 Lake Gregory, the picturesque man-made lake in Nuwara Eliya - SL, had a handful of hopefuls fishing that evening. The cottage we stayed at was on the banks of the lake, and a long walkway that was being built around the lake made it easy to wait as you sat fishing. The Pedro peak towering in the distance and the vicinity of the lake looks absolutely surreal when it gets foggy, like it did towards the evening. Absolute bliss.